Marvin Lee Whitaker Sr., was born on January 1, 1948 in Edgecombe County, North Carolina to the late Thad Whitaker and Lillie Mary Lyons. He was called home to glory on January 11, 2016 at Nash General Hospital. 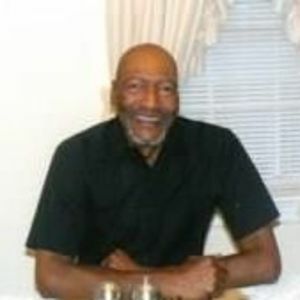 Marvin, who was also affectionately known as "Bruh," received his early education in Edgecombe County, graduating from Phillips High School in 1966. Marvin had numerous jobs, but he was most proud of his entrepreneurial venture of owning M&W Janitorial Service. His last job held was at Kmart in Rocky Mount, North Carolina; a place that he loved and in return loved him just the same. Marvin was a man with many gifts and hobbies. An innovative man who could and would fix anything. He was an excellent cook and enjoyed feeding anyone at anytime. He was a gifted singer and dancer who often traveled with nationally recording artists such as the Stylistics. Marvin was a loving and compassionate Husband, Father, Brother and Grand Father. His most happiest and cherished moments were with his Family. He leaves to cherish his memories his loving and devoted Wife of 43 years: Margaret H. Whitaker. Sons: Maurice Vontae Whitaker, Marvin Lee Whitaker, Jr. (Donna), John Graham (Cheryl) and Nathaniel Graham (Sharon). Daughters: Chiwanda Norwood and Kanisha Shanta Bulluck. Brother: Thad Whitaker II. Sister: Barbara Whitaker. Uncle: Bobby Lyons. Grand Daughters: Diamond M. Holland and Marin A. Whitaker. In addition, Marvin leaves a host of grandchildren, nieces, nephews, cousins and friends to cherish his memories as well. A funeral service will be held at 12:00 PM on Saturday, January 16, 2016 in the chapel of Johnson Funerals and Cremations, 661 English Road, Rocky Mount, NC. Interment will follow immediately after the funeral service in Rocky Mount Memorial Park.